On Saturday, November 8, 2014, MIT defeated the Boston Irish Wolfhounds 18-17 at Briggs Field to complete their undefeated season. Coming off a bye week, MIT had 2 weeks to prepare for what would be their hardest test of the season. Coach Sean spent the time off watching his native All Blacks take on the USA Eagles in Chicago. Inspired by his team’s victory, he returned to practice barking defensive instructions to the All Beavers over the noise of light generators, helicopters, and MIT dormitory fire alarms. On Saturday, October 25, 2014, North Shore RFC rolled out the red carpet to welcome MIT to their field in Lynn. Unfortunately, this carpet was covered in gravel and was on top of a manhole in the middle of the field. The rest of the field looked like an old pair of jeans that had been patched up too many times with all the wrong material. The field conditions were not a surprise to MIT. What was a surprise was MIT’s play at the start of the game. Coach Sean urged the squad to start strong after several slow starts this season. 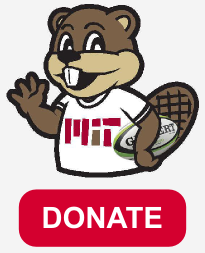 On Saturday, October 11, 2014, MIT continued their unbeaten streak with a victory over Boston RFC. With the forecast calling for rain, Coach Sean took a page out of Shooter McGavin’s playbook and invited the team to “join him at nine o’clock on the 9th green.” The MIT players, much like Happy Gilmore, discovered that this meant practice under the sprinklers as preparation for the wet conditions. Fortunately on game day the rain stopped prior to kickoff and Thursday’s wet practice served as more of a soggy punishment than preparation for Saturday’s match. On Saturday, October 4, 2014, MIT hosted Freedom RFC (formerly Seacoast RFC) at Briggs Field in a battle for first place atop the NERFU D3 standings. Both teams entered the contest undefeated. MIT set the tone early with rumbling runs from forwards Oggy and newcomer Alex. This set up John G for a penalty kick which he slotted through to put MIT up 3-0. Freedom RFC stormed back with a try of their own after some handling errors by MIT. MIT anxiously awaited the kick off for this game for several weeks, having endured a tough preseason in preparation for a more competitive fall season this year. Conditions proved to be very tough indeed with temperatures over 90F taking the toll on all players involved. This game was a rematch of the NERFU Cup final from May and though both teams had personnel changes with MIT welcoming flankers Cody P and Mick O'C back from injury while bidding adieu to visiting students Hugo C and Kenji C, it was expected to be a close encounter. MIT faced New London County last Saturday in the NERFU D3 League Semi-Final. MIT traveled with a strong squad and a desire to finally defeat a New London side who have been one-score victors in this fixture for the last two years. It wasn't to be however as New London's reserve fly half slotted a tough penalty with no time left in overtime to prevail in a back and forth and tightly contested playoff match. Saturday was a homecoming of sorts for MIT Rugby, having not lined out at Briggs Field since their season opening win back in early September. There was a gentle breeze blowing from The Shed End, as the team gathered and warmed up for what would prove to be a high scoring day with wins for both the A and B sides. The game provided an opportunity for a number of players to showcase their talent in both games.